On the 8th of June 2017, the British public will be tasked with selecting their government and thus the leaders of their country for the second time in three years. Duckton Declares attempts to simulate a process that'll start at 10PM on that day, where people up and down the country will be tallying the votes cast. 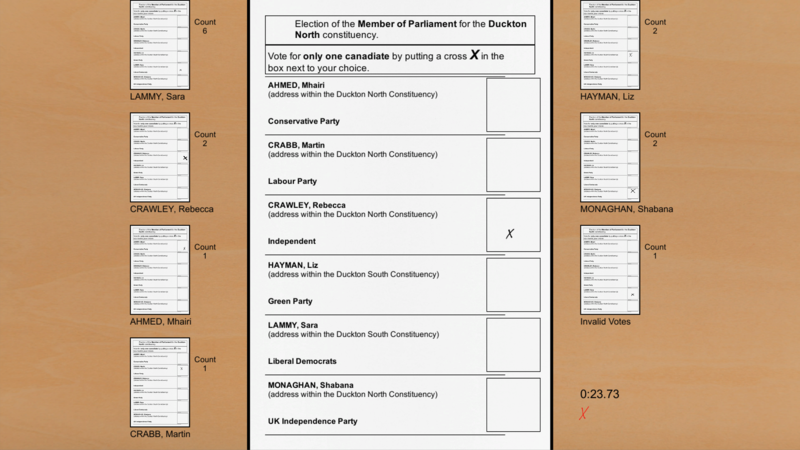 The constituencies of Duckton North and Duckton South traditionally add an extra burden to this role, racing to become the first area in the country to announce their results and possibly set the mood for the rest of the night. 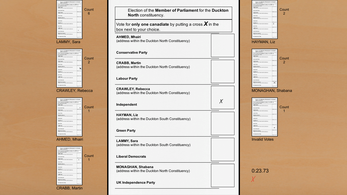 As a representative of Duckton North, can you count all the votes accurately before Duckton South announces their result? With the polls varying wildly with under a week to go before the nation goes to vote, Duckton Declares also acts as an extremely unscientific result prediction system. Which way will Duckton North go for you? 2017 'Snap Patch' is now live!